Support CLG if you like what we are doing! We are seeking historical pictures and stories of Lake Greenwood, if you have any, contact Kim Clark at LakeGreenwood@icloud.com 864.910.5168 or Jimmy Peden info@connectlakegreenwood.org 864-809-8222. 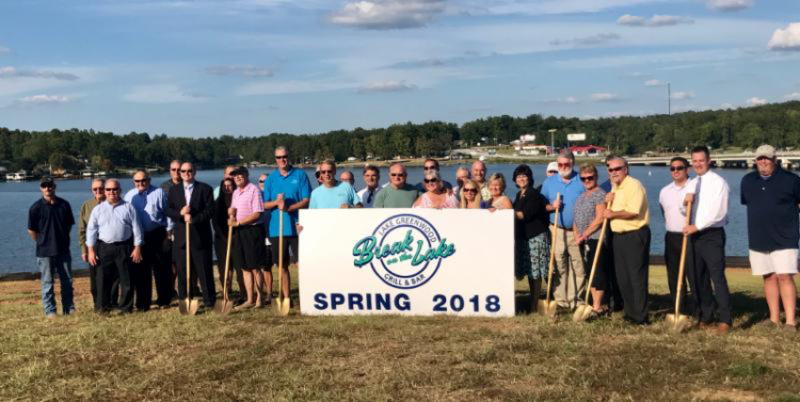 Drive past Cothran’s Bridge, and you can literally watch the earth being re-shaped to accommodate Break on the Lake.Profuse thanks to all those pictured above who share the vision and fortitude to get this waterfront restaurant up and running by Spring. Among them Greenwood County Council, the Partnership Alliance, the Greenwood Chamber of Commerce, and our own Connect Lake Greenwood Board Members representing Friends of the Lake. Special thanks to the partners behind “Break on the Lake” which will specialize in family style dining and seafood. Hugh Moseley, Kevin Prater, and Mike Bartley are teaming up to make this happen for all of us. Not long after the leaves return to our trees, we should be able to boat up to the dock, dine, and draw in a gorgeous big water view! IN THE MEANTIME, CLG is working with Friends of the Lake to identify the next projects the majority of members want to tackle. Just after this above picture was snapped, Community representatives met at Cedarwood Community Church to discuss ideas for Lake Greenwood. More info coming soon on this. After months of planning, the time has come to start the project. CLG wants to thank each of you again for getting involved. We believe this will be a very rewarding project! Overview: Work days/times from Oct. 12th to Oct. 24th are scheduled. Pick as few or as many that you can attend. CLG will post on our website future work days past Oct. 24th, keep check there to register. If you can’t make these dates/times but you are willing to work on your own, GREAT! Contact Jimmy for an assigned section needing work. 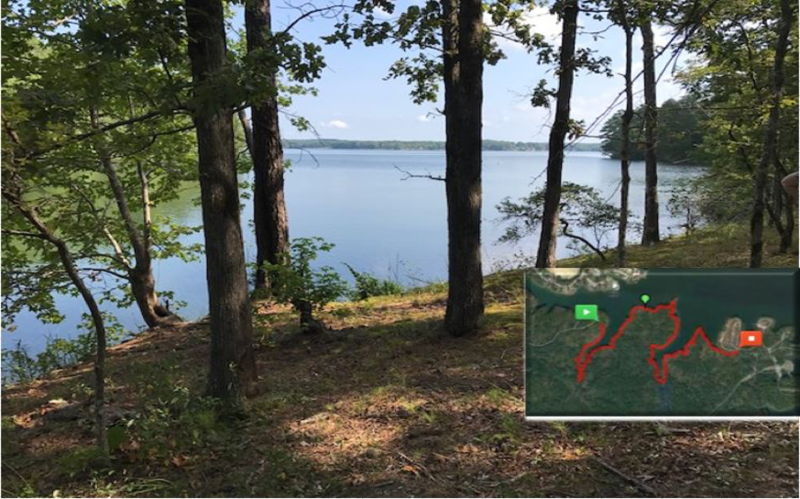 The initial goal is to finish the first 8 sections (300′ each) at the trail head and about 5 sections at the end of trail. The State Park thinks it will take our group more than 2 months to finish, but I think we can do it in 2-3 weeks! Video segments are on our website of the sections, if you would like to view. On the work days, we will divide into small groups. Each group will be assigned a trail segment to work on for a few hours. 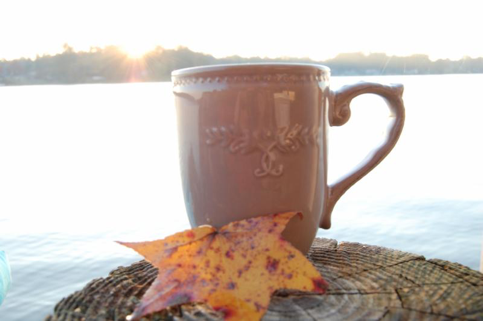 Can we blow leaves into the lake this fall? What is that grass growing in the lake this fall? Through the end of this month, Lake Management is surveying the entire lake for aquatic invasive species. There is a state approved plan already in place for management of four types of invasive species here: Hydrilla, Najas, Primrose, and Alligator Weed. The county uses an integrated plan with both chemical and biological means. For the last couple of years, Triploid Grass Carp have been released into the lake. Re-stocking is happening again this month. Chemical treatment started last month on the Greenwood side where Hydrilla is actively growing and spreading. Davis says it was treated on the Newberry side last spring and last year, where it was actively growing. DNR does come to assist Lake Management with the Hydrilla. Airboats and equipment are brought in to treat in shallow coves without the risk of spreading what they’re treating. The chemicals are approved and ARE safe for swimming areas. Don’t forget our lake draw down begins November first. It’s time to repair our docks and seawalls.